Daryl Johnson (Worcester Park, United Kingdom) on 18 March 2009 in Architecture. Came across this lovely old building while wandering around in Osaka. It's very unusual to see this kind of brick building here. I don't know much about this place at all. 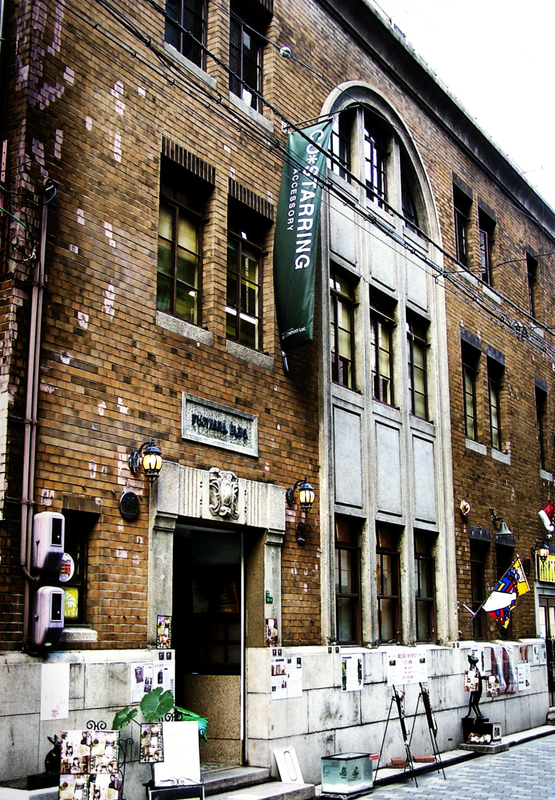 It seems to be an exhibition space and studio of some kind these days, but I couldn't find any information about the building's history. Anyone in the community know anything about it? @Lorraine: Cheers Lorraine! Nice hey? This style of building is what I would expect to see in NYC. Nice composition. It's a nice looking old building. Good shot. @Ian: Cheers Ian! It's a very cool place for sure. Kind of a strange sign. @Twelvebit: That's modern style Twelvebit... you gotta move with the times!